This program is designed to equip new managers with the right leadership skills. Executives who are to be promoted or just recently promoted as manager are welcomed to attend. In today's fast changing world, organizations are pressed to have leaders who are performance, achievement and result oriented. To remain in the forefront, it is imperative that individuals focus on continuous self and process improvement and to have a new mindset (paradigm shift). This program is designed to equip new managers with the right leadership skills that will enable them to perform their daily tasks of working with people effectively and efficiently at their workplace. The Program is designed to sharpen the ability of new managers to manage themselves and their subordinates more effectively by developing their skills in self-assessment, decision-making, communication, creative thinking, and problem solving, motivation and performance management. The Pre-test is to gauge the level of understanding of the participants viz a viz-supervisory skill. The pre-test is in a questionnaire format consisting 25 questions. What Is the True Measure Of Excellence? Importance of building and sustaining partnership to accomplish organizational goal. To create a sense of belonging and purpose to highlight the importance of commitment in achieving business success. This exercise and discussion will enable the participants to think out of the box viz a viz their management role. A stimulating questionnaire to focus on the need to change mind-sets and paradigms. To enable participants to take an objective look at their strengths and weaknesses in order to improve performance and change the way they work for the better. Each participant completes a self-assessment of his/her own competencies through feedback and critical discussions, the participants will identify and develop competencies essential for success as managers. To develop participants to be effective managers by introducing to them, the various aspects of leadership and management qualities as a vital and integral part of the management team. Case Study - The Changing Role Of A Manager (30mins) This case study, through discussion, will highlight the new and changing role of the managers that will help, lead and support a high involvement work force. Importance of control measures and how to measure the performance of subordinates. 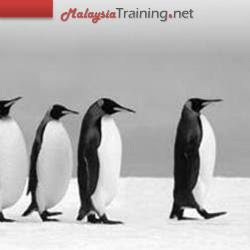 To enable the participants to practice a "hands on approach" of management fundamentals i.e. planning, organizing, controlling, delegating etc. To develop an understanding of leadership and leadership styles and applying leadership qualities and utilizing effective Interpersonal skills, that will strengthen relationship and improve productivity. Through discussion and presentation participants will be able to distinguish the pros and cons of using various leadership styles. This exercise will enable participants to access their own leadership styles. Through discussions participants will learn how to develop and improve their own leadership styles. Getting the most out of subordinates means understanding what makes individual work best. The objective of the module is to enable participants assess ways of motivating; identifying what drives people and explain what they can do to help encourage subordinates. This exercise highlights Marslow's Hierarchy of Needs and how managers can create a motivational climate by recognizing these needs in the work environment. This exercise will highlight to the employees the importance of trust in building a motivational work team. This module enables participants to adopt a systematic approach to Problem Solving and Decision Making. Participants will be taught techniques to solve problem and make decision by breaking them into manageable stages to develop a strategy for creativity. This exercise presents different scenarios in which participants will need to exhibit their creativity in solving problems. A problem solving approach to generate ideas to solve problems and make decisions. To develop subordinates ability in relating ideas and thoughts effectively. At the end of the module participants would be able to demonstrate more effective question and listening skills to improve the quality of communication. The outcome of this exercise is to enable participants to formulate strategies and work towards enhancing individual accountability. This is an interactive activity that emphasizes Teamwork, Communication and Interpersonal sensitivities. Asking a subordinate to do something should be simple, yet managers often think if it is quicker "to do it yourself". The objective of this module is to help managers to understand why delegation is important, how to avoid common traps and how to choose level of delegation in each situation. This case study emphasizes the principles of delegation and shows participants how to plan, and prioritize, organize their time and activities effectively. To enable participants to develop confidence in themselves and their subordinates to trust them to make decisions. It will enable participants to approach coaching in a non-threatening manner and show them effective coaching techniques. This exercise and role-play will expose participants to the proper techniques of giving criticism so that employees are encouraged to produce better results.